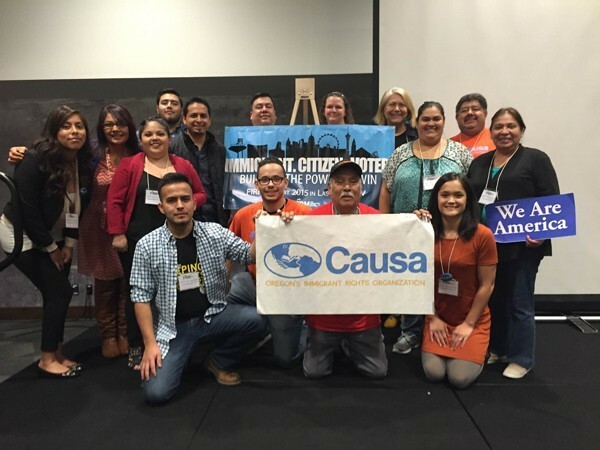 Causa, Oregon's Immigrant Rights Organization. In 2014, Measure 88—which would have granted four-year driver cards to people in Oregon who cannot provide proof of legal status in the United States—failed with a 66 percent no vote. 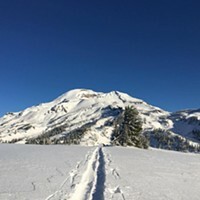 One year later, five individuals and two nonprofit organizations are suing the state of Oregon, including Governor Kate Brown, Oregon Department of Transportation Committee Chair Tammy Baney, and six other individuals at ODOT and the DMV. The class action allegation complaint was filed in U.S. District Court in Eugene by the attorneys at the Oregon Law Center citing a civil rights action stating Measure 88 "violated the Constitution of the Unites States by arbitrarily denying driving privileges to Plaintiffs and others based on their membership in a disfavored minority group" and that the Measure "was an improper attempt by the State of Oregon to regulate immigration." Before Measure 88 reached the ballot, the Oregon Legislature passed Senate Bill 833, which granted driving privileges to people who had been living in Oregon for more than one year. But people who opposed SB 833 gathered enough signatures to put it on the ballot. "This measure was a referendum [saying], 'We the voters hereby repeal the law that the Oregon Legislature passed,'" says Charles Hinkle, a lawyer at Stoel Rives in Portland. Hinkle, who taught constitutional law for many years but is not involved with the lawsuit, says, "This particular Measure targeted a disfavored group, which violates the Equal Protection Clause under the Fourteenth Amendment. The Equal Protection Clause does not say that no state shall deny equal protection of the law to citizens—it says to any person." He adds, "Any person within the U.S. is protected." Greg Delgado, the Central Oregon organizer for the immigrant rights group Causa, says what was a public safety issue has turned into an immigration issue. "Immigration work is under the jurisdiction of the federal law—not state law—so for the state to take away the drivers' licenses and/or create this other special license for undocumented Latinos, it was targeting that race." Delgado became involved as a community organizer several years ago when he was working in a restaurant in Bend after graduating from the hotel management school at the University of Houston. One day a co-worker announced if he ever decided to own a restaurant, he would "hire all Mexicans because he could pay them less, and they would work harder." Delgado is a Native American Latino from Arizona and found that dialogue socially unacceptable, and says he fights for healthier communities. Delgado sees how the failure of Measure 88 has affected Oregon families and says children are taking on parental roles. One person assuming the full responsibilities of transporting his parents and his four younger siblings is Gustavo. The 25 year-old lives in Central Oregon, works full time at a health clinic, and also has a part-time pizza delivery job on the weekends. He works seven days a week to provide additional income for his family because his father had to quit his second job and now walks, bikes, or catches a ride with a co-worker. "Measure 88 not going through, it's not just [affecting] my family. I've got neighbors and a lot of people that I know that are in the same boat [as us]," says Gustavo. "If one of my little brothers is sick, I'm the one that has to take him to the doctor." He also takes his mother to the grocery store whenever the family needs food. "I want to go back to school; I love my family and that's why I help them, but it's tough on me," he says. Delgado believes the extra stress placed on families not being able to leave their homes creates an additional burden. "That fear, that isolation is probably the worst thing that happens to our families." The complaint also cites the significant number of people impacted by being denied driving privileges, particularly Mexican Americans, who make up approximately 90,000 of the 120,000 undocumented people living in Oregon and thousands more native born Central Americans. Furthermore, the complaint states that the Protect Oregon Driver Licenses Political Action Committee set up a website urging voters to cast a no vote calling illegal immigration a serious problem because it has created, "a dangerous situation from the standpoint of national security and public health." The lawsuit calls to attention the xenophobic and discriminatory language used in the "Opposition Statements in the Official 2014 General Election Voter's Pamphlet [that] denounced the 'Mexican' consular ID as a possible form of identification, the possibility of increased activity by 'Mexican' drug cartels, and the 'flood' and 'surge' of 'Central American' minors to our southern boarders." "The pamphlet showed that Measure 88 was targeted particularly at Hispanic immigrants because there was no discussion about immigrants from Cambodia, Japan, France, or England," Hinkle says. Willamette University Associate Dean for Academic Affairs and Law Professor Norman Williams says Measure 88 is "just a reflection of hostility to immigration. In the Republican political circles, we've seen a great deal of attention paid to immigration issues and judging from the Republican primary debates, it seems to be the current that the more hostile you are toward immigration, the better." Gustavo weighs in on that rhetoric, saying, "Everybody has their opinions of Latinos—like right now how Donald Trump [said] 'they're rapists and criminals.' We're hard working people and we want to do things right...but [we're] not given the chance." Ultimately, the Oregon Law Center is asking the court to reinstate driver cards under SB 833, which would forbid the State of Oregon, ODOT, and the DMV from enforcing Measure 88. Gustavo will continue to work two jobs until he enrolls in college. He hopes to pursue a career in the medical field, but in the meantime, he'll continue to help his parents who—like tens of thousands of people living in Oregon—can no longer legally drive. "The kids, too, I feel bad for them because they're kids, and they want to go out to the park or they want to go out and play," he says, "[but] they have to be locked in [the house] like little dogs—it's not right."